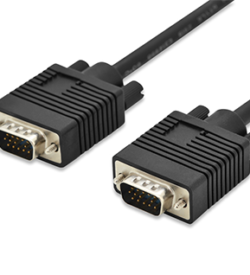 Display connection cables | View our catalogue products | SiliconBlue Corporation Ltd.
DisplayPort adapter, DP – HDMI type A M/F,w/interlock, CE, gold, bl DisplayPort adapter, DP – HDMI type A M/F,w/interlock, CE, gold, bl. 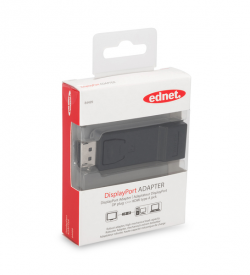 With this adapter you can connect a HDMI cable to the DP interface of your graphic card or Notebook. Premium HDMI High Speed Ethernet cable, rotatable This HD and 3D suitable cable used for connection of audio/video devices, such as Blu-ray player, game pads or consoles, etc., for example, with a TV, monitor or computer. Also capable for use of any IP-based application. 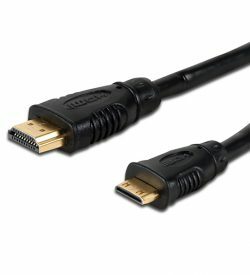 This HD and 3D suitable cable used for connection of audio/video devices with HDMI type C interface such as notebooks, for example, with a TV, monitor, computer, etc... Supports Full HD and 3D. 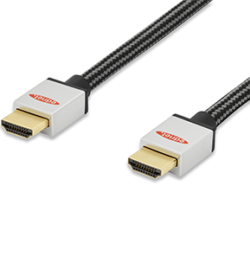 HDMI typeD (micro)/M – type A/M, 0.50m This Full HD (1080p) and 3D suitable cable used for connection of audio/video devices with HDMI type D interface such as smartphones of newest generation, for example, with a TV, monitor, game pad or computer. Also capable for use of any IP-based application. HDMI High Speed connection cable, 2.0m Full HD UL, si / bl, cotton, gold. 4K / Ultra HD and 3D capable + Ethernet connectivity. 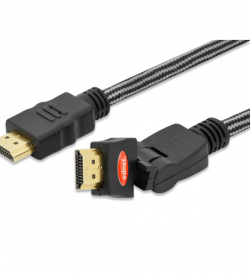 This Full HD (1080p) and 3D suitable cable used for connection of audio / video devices such as Blu-ray players, game consoles, etc., to a TV, monitor or PC. Also suitable for use any IP-based application. HDMI High Speed connection cable, 5.0m Full HD UL, si / bl, cotton, gold. 4K / Ultra HD and 3D capable + Ethernet connectivity. 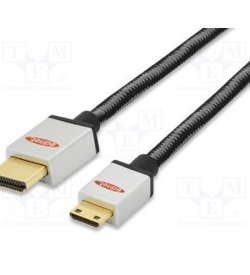 This Full HD (1080p) and 3D suitable cable used for connection of audio / video devices such as Blu-ray players, game consoles, etc., to a TV, monitor or PC. Also suitable for use any IP-based application. 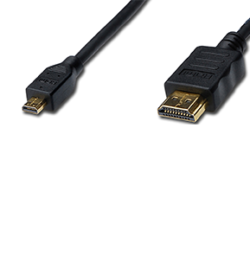 HDMI High Speed connection cable, type C – type A. 2.0m Full HD This HD and 3D suitable cable used for connection of audio/video devices with HDMI type C interface such as notebooks, for example, with a TV, monitor, computer, etc… Supports Full HD and 3D. UL, si/bl, cotton, gold.